These playoffs have just flown by! I feel like it wasn’t too long ago that I anxiously waited to see if the Stars would make the playoffs. Well we all know how that one worked out. Anyway, it’s a somewhat hateful final depending on who you talk to. I’ve found equal amounts of people refusing to watch the final because they hate both teams so much. To be fair, they ARE kind of unlikeable. However, I’ll be pulling for Boston, since I hate the Canucks with a passion (they rank #3 on my most hated teams behind Pittsburgh and Anaheim). I’m sort of a closet Bruins fan. 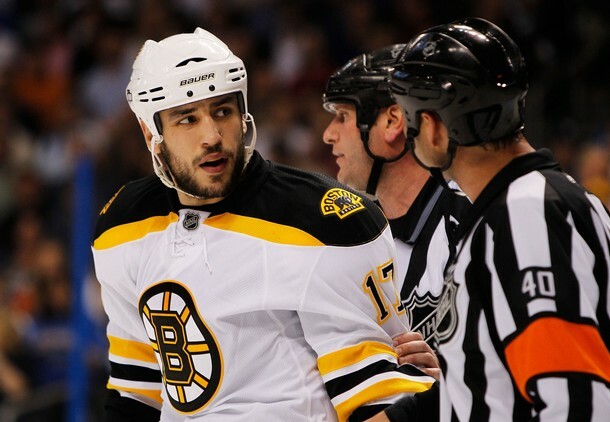 While I’m not crazy about Gregory Campbell (he’s a smarmy SOB that one…) and a few others, I loveeeee Milan Lucic, Tyler Seguin, and Tim Thomas. Hockey players are the greatest. By now, I’m sure you’ve heard all about the relocation rumors the Atlanta Thrashers have been enduring lately. Here’s the thing: I legitimately like the Thrashers. They’re an adorable team that’s starting to go places, I think. BUT…if their relocation can help the Stars, I’ll take it. 1. Since the rumored relocation city is Winnipeg, the divisions will have to be realigned. The most logical thing to do would be to move Detroit, Columbus, or even Nashville to the East. That would leave an opening in the Central division that the Stars could move into. Then, Winnipeg would join the Northeast and Colorado would take our place in the Pacific. Of course, that’s not really fair to the Avs, but whatever. It”ll be their problem, not ours. 2. Being in the Central might be a little easier than being in the Pacific. You hear it all the time: the Pacific is the best division in hockey and blah blah blah. Well it’s true. After all, every Pacific team made the playoffs this season…except one. Le sigh. 3. Canada would get another team, and people would slightly tone down their bitching and moaning. Sorry, Thrashers. But I think y’all pulled the short end of the straw. I love how Sean is one of the few players to openly express support for gays. You may not like his style or play, but you gotta respect him for this.